I love my sleep. I could happily stay curled up in my duvet all day if I could get away with it, slumbering away happily. But, oh boy, those nights when sleep eludes me… it’s a killer. Anyone who suffers from insomnia, sleep terrors, sleep apnoea or frequent nightmares – or any other sleep problem, most often caused by stress – will know what I mean. Waking up and still feeling exhausted, dragging yourself around all day, it’s no way to live. Taking sleeping tablets often isn’t the answer either, especially if they leave you groggy in the morning. If you have problems falling asleep or staying asleep, it may be time to look for alternatives, and the all-natural but effective Performance Lab® Sleep could be the answer. Full disclosure: After a thorough review of Performance Lab® Sleep, we’re big fans, which is why we’ve named it our Best Sleep Supplement to Buy in the UK in 2018. To our minds ,a good sleep supplement should encourage you to fall asleep quickly, help you to stay asleep all night, and ensure you wake up feeling refreshed – a sure sign that you’ve enjoyed quality deep sleep. We believe Performance Lab® Sleep achieves all of the above. Let me explain what we see in it so you can make up your own mind…. How Does Performance Lab® Sleep Work? Performance Lab® Sleep is an all-natural supplement specifically made to counter sleeping issues, an anti-insomnia power tool, if you will. Its formula is innovative, with a different approach to improving your Zzzs than many other sleep pills. First, it soothes the nervous system and helps to calm your mind before sleep. It then encourages the release of sleep chemicals, melatonin and serotonin, to aid tranquil sleep, while also helping to relax the muscles and skeletal system to ease aches, pains and involuntary limb movements that can disrupt your sleep. It promotes nightly renewal of cells that should help you to feel rejuvenated in the morning and supports healthy circadian rhythms to optimise sleep patterns. All of which should boost overall health. The formula behind Performance Lab® Sleep promises to provide ‘nightly regeneration support for peak daytime performance’. As optimal sleep boosts cognitive function, we’ve also recommended it in our Best Nootropic Supplements to Buy in 2018. 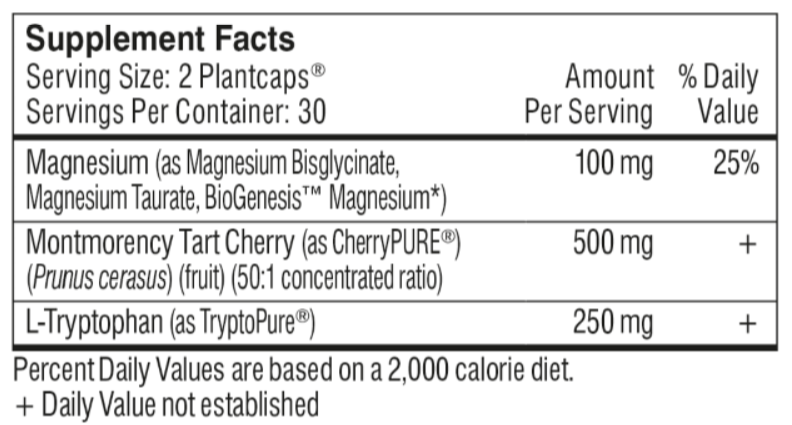 Montmorency Tart Cherry delivers an all-natural form of melatonin (known as CherryPURE®), a contrast to the synthetic form often used in other sleep supplements. Melatonin is vital for proper sleep quality as it regulates our body’s circadian rhythm. The chemical, released by our pineal gland, has sedating and sleep-inducing effects. 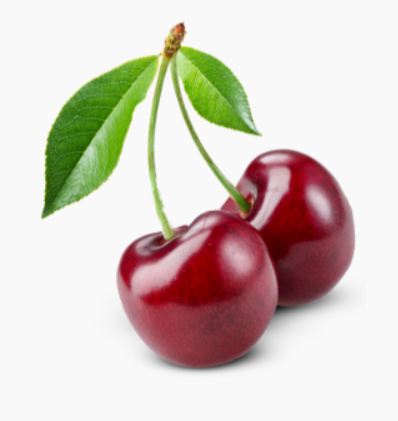 The effectiveness of tart cherry juice on sleep quality has been proven in clinical human trials. Before I move on, let me talk quickly about the issue of melatonin. Crucial for effective sleep, it’s a popular hormone that is easily available for supplementation, but it is worth being particularly careful. Not only are some people very sensitive to melatonin, but a 2017 study investigating 31 melatonin supplements available commercially discovered some disturbing results. The researchers discovered that the melatonin included in the supplements ranged anywhere from 83% LESS than listed on the label, to 478% MORE than listed on the label. In short, it’s often impossible to know what you’re getting if you choose to supplement with melatonin alone – too much or not enough! Most supplements also include synthetic melatonin, rather than the all-natural version included in Performance Lab® Sleep. Some of the supplements in the study also contained undeclared serotonin, which could be dangerous for people taking SSRI (Selective Serotonin Reuptake Inhibitors) antidepressants. In contrast, Performance Lab® Sleep contains a tightly controlled form of natural melatonin from Montmorency Tart Cherry that shouldn’t cause any problems. It both provides natural melatonin and supports the pineal gland’s production of the body’s melatonin as well, effectively raising the amount via two different pathways. L-Tryptophan is a special ingredient in this sleep-enhancing formula that tackles stress and mood imbalances that can cause issues in our sleep. It encourages an elevated mood during daytime, along with calm sedation at night. The secret to achieving this is the fact that L-Tryptophan converts into 5-HTP, which gets turned into serotonin. And serotonin is a natural happiness hormone which elevates the mood and increases well-being. Serotonin also encourages the pineal gland to create more melatonin, another benefit for sleep. We all know of the health benefits of magnesium and supplements containing it. Not only is magnesium good for proper functioning, it is just as vital for a good night’s sleep. Magnesium deficiency has been linked to chronic insomnia, with frequent night-time awakenings. In contrast a high magnesium diet (also with low aluminium) has been proven to encourage a less interrupted, and therefore deeper, sleep. In Performance Lab® Sleep, magnesium has calming and relaxing, blood pressure-lowering benefits. It soothes muscles, prevents muscle twitches, relaxes the nervous system and encourages a gradual drop in blood pressure to aid the onset of sleep. It is included here in three different forms to ensure effective bioavailability, an indication of just how committed Performance Lab® Sleep’s manufacturer, Opti-Nutra, is to creating a superior product. Performance Lab® Sleep is safe and well tolerated, thanks to its all-natural formula. For your own safety, please be sure not to use it to calm down during the day as it induces sleep and is not an anti-depressant. Also make sure to not drive a car or use any other risky tech. The standard dosage is 2-4 capsules 45 minutes before sleep. Since Performance Lab® Sleep is a safe and natural product, it can be taken by anyone. The supplement tackles various sleeping issues and concerns, helping to soothe exhausted and tense muscles and mind. It truly does. The best thing is that it’s not “just” a sleep supplement for proper sleep. It does wonders to your mood, energy levels and cognitive function during the day as well. We love the fact that it uses an all-natural form of melatonin as opposed to the sometimes-dangerous synthetic versions. It provides a small but potent dose that is tightly controlled and effective. 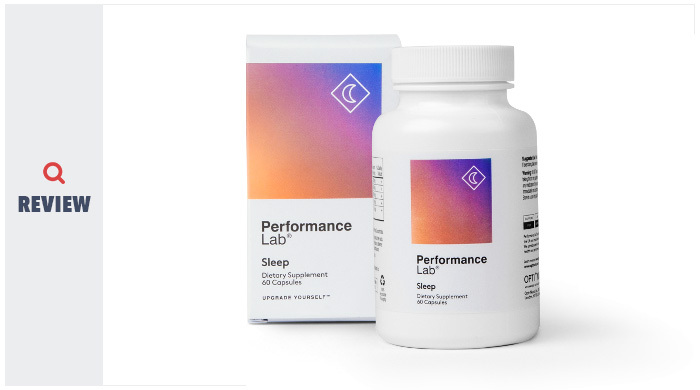 Performance Lab® Sleep has also been designed to work alongside the company’s popular Performance Lab® Whole-Food Multi vitamins, which supply the B-vitamins you need to create serotonin, though you can use it alone. In conclusion, Performance Lab® Sleep is a killer sleep supplement that is a must-have for any individual struggling with various sleep disorders and issues. Even if all you suffer from is a hard time falling asleep, we’re confident that this supplement is right for you.